Today I have a few more cards I’ve designed to send to my Sister-in-Law for her to give away. 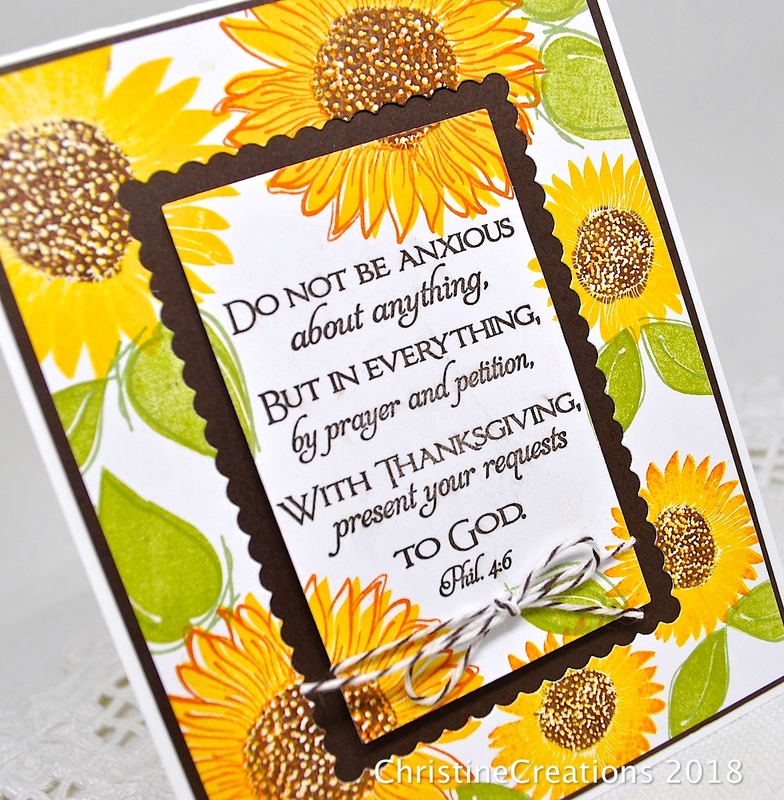 I am always looking for good Scripture to add to the cards so that they can be used to encourage others, so today I’ve combined a set from The Cat’s Pajamas and a set from Our Daily Bread Designs. 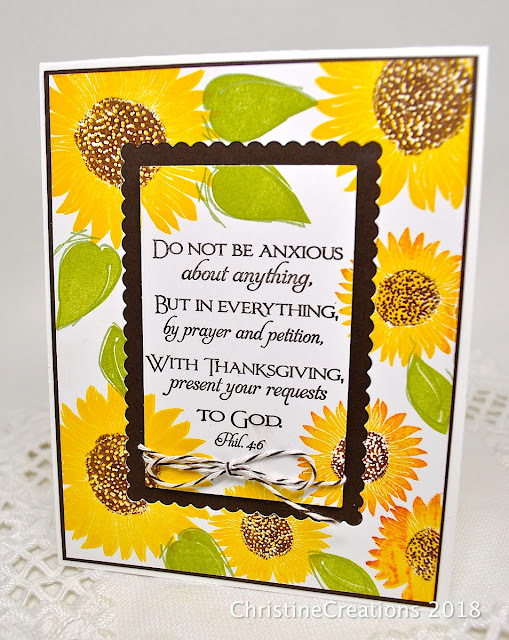 From TCP it’s Sketchy Flowers and from ODBD it’s Scripture Collection 4. 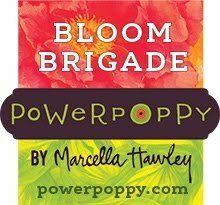 I love the hope and light that sunflowers represent, so I used the sunflowers from the Sketchy Flowers set a bit differently on these two designs. On the left I used the stamps without the outlines, and on the right I used more of the outline stamps - so they both have a similar but unique feel. To make this design I started with a 4 1/8 x 5 1/4 inch piece of white cardstock, stamped the verse in the center with my MISTI, then step by step stamped the sunflowers around the perimeter. I added a bit of orange to the tips of some of the flowers, and green to the leaves, and added the brown center of the sunflowers with a marker to stamp technique. Then I took an MFT die and cut out the scalloped rectangle center of the design to give it more of a framed feel. I held onto that tiny frame and I’ll show you what I did to create another card with it later this week. Instead of just 2 cards, I managed 4 from this stamping! Gotta love that! Here’s the second design where it shows more of the orange ink I used with the outline stamp in this set to give it a bit of a different look. Then it’s just some simple twine to finish off both cards. They are beautiful, I do love the one with the extra orange outline! ODBD certainly has the best scripture stamps, and your beautiful sunflowers do exude joy and hope. Lovely, Christine! Christine, I just love these!! I have quite the collection of scripture stamps and want to use them more often. The framing idea is just what I need for a jumpstart. Your sunflowers are the perfect background too!! Both cards are lovely. What a beautiful and thoughtful thing to do for your sister!